Olivia Graeve remembers exactly when she decided she wanted to be an engineer. During the 1980s, an economic crisis drove thousands of people to flee Mexico’s depressed southern region and seek jobs in the north. Slums sprang up in the hills around Tijuana, the border city where Graeve (GRAH-vay) lived. With a group from her Catholic high school, Graeve volunteered every Saturday to help the displaced families. The conditions were shocking – “like a Syrian refugee camp,” she says. She and her fellow students built shelters, dug latrines, and did anything else they could to help. But Graeve wanted to do more. “I was motivated to think about building housing for these people, an electrical system, a sewer system,” she recalls. It dawned on her that the way she could help the most was to become an engineer. She enrolled at UC San Diego, commuting across the border to attend engineering classes. But each weekend she returned to the hills around Tijuana to continue her volunteer work. Today Graeve is a professor of mechanical and aerospace engineering at UC San Diego’s Jacobs School of Engineering and a respected expert on nanomaterials used in extreme environments. 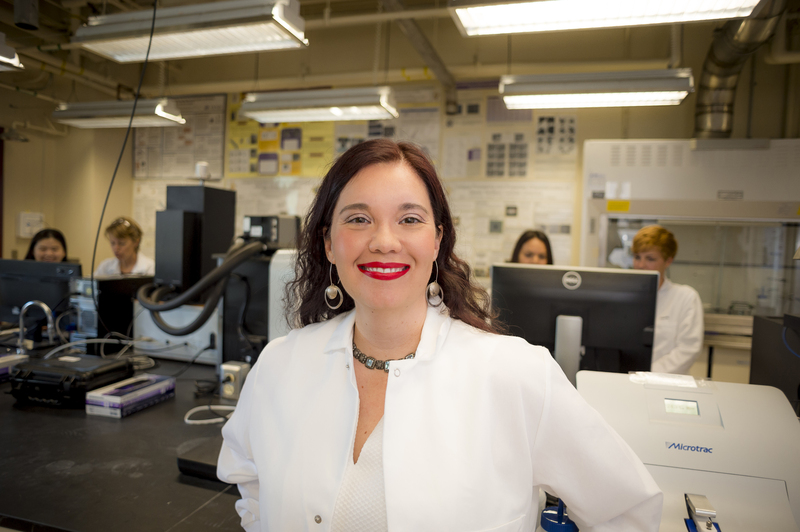 Her work has been recognized with the National Science Foundation CAREER award and Hispanic Educator of the Year award from the Society of Hispanic Professional Engineers. Last year Forbes named her one of the 100 most powerful women in Mexico. Graeve’s mother was a single parent, an accountant who worked two jobs to provide for her five children. Growing up, Graeve was an avid reader. She especially loved the books about Trixie Belden, girl detective. Graeve also liked math, and she was good at it. After high school, Graeve decided to attend UC San Diego. She wanted to stay close to home, and she was also impressed by the university’s structural engineering program. She planned to become a civil engineer, but then she began working in the materials lab of Professor Joanna McKittrick. After receiving her bachelor’s degree in structural engineering in 1995, Graeve headed to UC Davis to earn her doctorate. She was eager to work with Professor Zuhair Munir, a leader in designing materials for extreme environments. With Munir as her advisor, Graeve developed ceramic materials for use in high-temperature turbine blades. Graeve received her PhD in materials science and engineering in 2001. She continued her research as an assistant professor at the University of Nevada, Reno, and an associate professor at Alfred University in western New York. She began exploring metallic materials as well as ceramics. Her focus eventually turned to nanomaterials, cutting-edge substances made up of extremely tiny particles. The materials she creates can withstand extreme environments such as super high temperatures and pressures or intense radiation. The materials can be used in jet engine components, coatings for nuclear reactors and even tools for colonizing Mars. After returning to the border region, Graeve wasted no time in moving to strengthen scientific ties between the two cities. In 2013 she launched a summer program called Enlace (the Spanish word for “link”). The seven-week program pairs up students from both sides of the border to work with UC San Diego faculty members in campus labs. “It started with high school students. You need to motivate students to stay in science and engineering as early as you can,” she explains. The program has grown to include college students as well. In 2016, Graeve founded the CaliBaja Center for Resilient Materials & Systems. 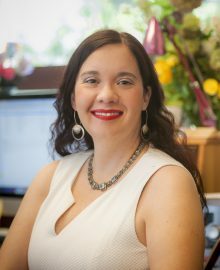 She serves as director of the center, which includes the CaliBaja Education Consortium, a program linking UC San Diego and 13 colleges and high schools in Baja California (see "CaliBaja Center forges professional, personal links across the border" below). Graeve also serves as faculty director of the Jacobs School’s IDEA Engineering Student Center. The center provides mentoring and support to help engineering students succeed in their studies and complete their degrees. She knows that she, in turn, can help inspire students – especially those from underrepresented groups – to see themselves in engineering and other STEM (science, technology, engineering and math) careers. Watch a video of Olivia Graeve talking about her work. It’s only about 20 miles from downtown San Diego to central Tijuana. But political divisions can make the two border cities seem much farther apart. Olivia Graeve seeks to build friendships between scientists and students on both sides of the border. Olivia Graeve, a professor of mechanical and aerospace engineering at UC San Diego’s Jacobs School of Engineering, wants to bridge that gap. To do that, she has launched a series of programs promoting cross-border ties in science and education. In 2016 Graeve founded the CaliBaja Center for Resilient Materials & Systems. She serves as director of the center, which encourages materials scientists and industries in the border region to work together. “We create entirely new classes of materials and devices with extraordinary tolerances to many real-world environments,” Graeve explains. The center’s work has potential benefits in defense as well as pharmaceuticals, aerospace, energy and manufacturing. As an offshoot of the center, Graeve launched the CaliBaja Education Consortium in 2017. The consortium links STEM programs at UC San Diego and 13 educational institutions in Baja California. The consortium allows students from high school all the way to graduate school to do research or take classes at both UC San Diego and the Baja California schools. One way students can get involved is through a program called Enlace. Each summer, high school and college students from Baja California pair up with students from San Diego to work in labs on the UC San Diego campus. The seven-week program lets students see “how science is done in a top research university,” Graeve says. One benefit is that many of the Mexican students who take part in the summer program end up deciding to attend UC San Diego, Graeve notes. Undergraduates can also take advantage of the CaliBaja consortium by enrolling in specific courses at their universities. Graduate students can become involved through their research groups. Ultimately, Graeve says, the programs will prepare students for the region’s high-tech jobs. “What we’re doing with industry is to help the students by placing them in these jobs when they finish the program,” she said. Making connections across the border can spur economic development for the entire region, Graeve says. But the goal goes beyond economic cooperation.